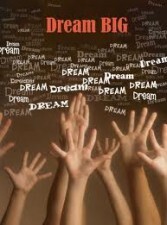 Dreams can be used as an endo-scopic (look inside) medical tool to understand the workings of both mind and body. Said differently, the dream provides the basis for an introspective medical examination of a person's self, memories, thoughts, feelings, sensations and development. Learning to use the dream as an introspective tool for medical purposes can provide valuable insight into the psychosomatic medical health or illness of a person. So while some might argue, that the higher mental processes are not open to conscious introspection, I would argue the opposite. The International Institute for Dream Research is dedicated in making visible the evolutionary adaptive mental function of the dream. 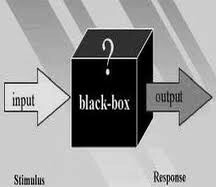 As an introspective tool the dream allows us to view the psychodynamic operations and functions going on inside the human "black box". Insofar the dream provides such an introspective tool, it to can be used to medically examine both conscious and unconscious adaptive psychophysical processes. Becoming a physician takes a great deal of learning and hard work. Much of the work in any profession is about repetition, until you have mastered an understanding of the occupational knowledge and acquired the skill set that the medical higher learning curriculum calls for. The question that comes to my mind, do you feel that the curriculum boring? Other students have sent their dreams to the IIDR, complain of feeling "indoctrinated". 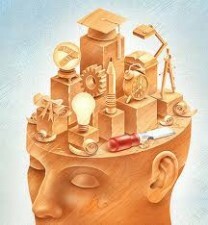 Although you may "see" and feel that your repetitious educational dream is boring perhaps even symptomatic, you are most likely learning something new everyday. While I'm sure that you would like to have a change of scenery every once in a while, it seems that your dreaming mind is keeping your attention focused and occupied on the one occupational task at hand, namely on the educational road to becoming a medical doctor. You ask what the dream is trying to indicate, tell and communicate to you. Maybe that's just the educational point, the dream may be saying not only to pay attention to your career, but also that dreams can be used as an invaluable medical tool. Many students get distracted from the career goals they are trying to achieve, by a variety of other preoccupations and then they often fall by the wayside. When I was going to University the attrition rate of students not completing their "higher learning" and education was nearly 50%. 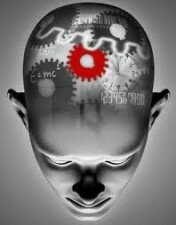 For some researchers conscious introspection is unreliable and oft-time is downright deceptive. I agree completely. In therapy, I always listen to the conscious introspective report of the client first, then I ask them about their dream report. As I was saying to a fellow psychologist yesterday, the conscious report does not always match what is going on in the dream report. Many people wear masks and have developed "false selves" and "cognitive blindspots" of thoughts, feelings, memories and traumas they would rather hide away from public view and from themselves. Consciousness often represses, distorts, censors and edits the available information from public view, making the conscious report a production created by an "unreliable narrator". Cognitive distortions found in dreams, are primarily caused by the ego's "defense mechanisms". George Valliant's theory of self-defense involves a psychological continuum from the pathological to the mature. These cognitive-behavioural maturational distortions of reality, memory, thought and feelings that are caused by mal-adaptive defense mechanisms that can be seen operating in dreams. From a popular cinema perspective the cult film "Fight Club" presents such an unreliable narrator of the story, whose alter ego takes control of the body when the narrator is asleep. Fight Club is a metaphor of our post-modern consumer society. From a music perspective the song "Where is My Mind? ", rolls with "Fight Clubs" credits. This is a case for the "Medical Humanities".